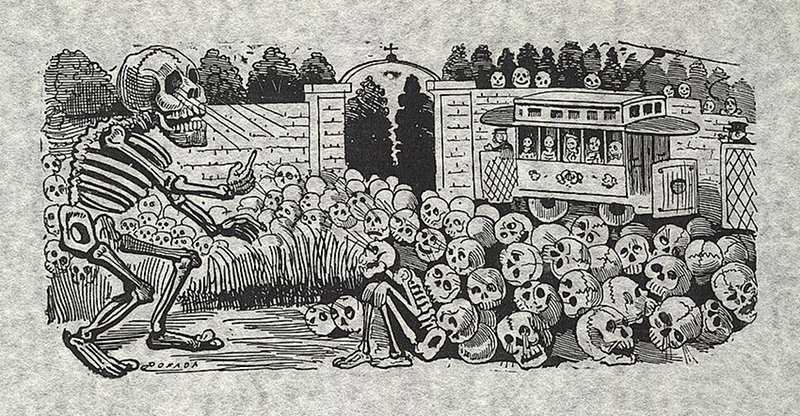 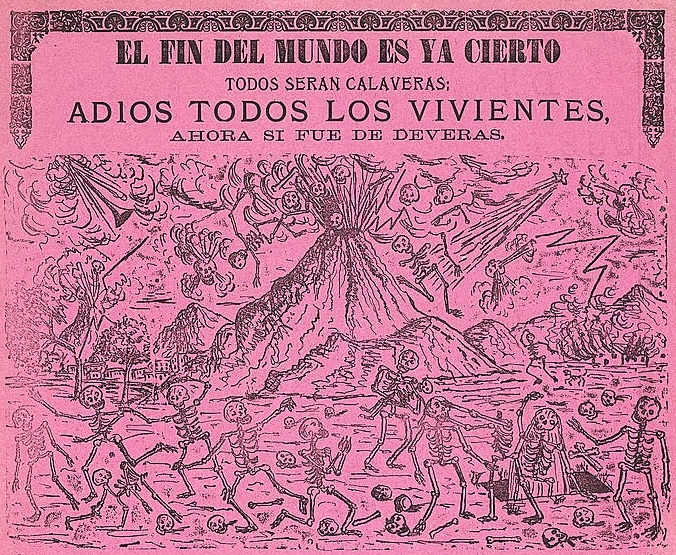 José Guadalupe Posada (1851–1913) was a Mexican illustrator known for his satirical and politically acute calaveras. 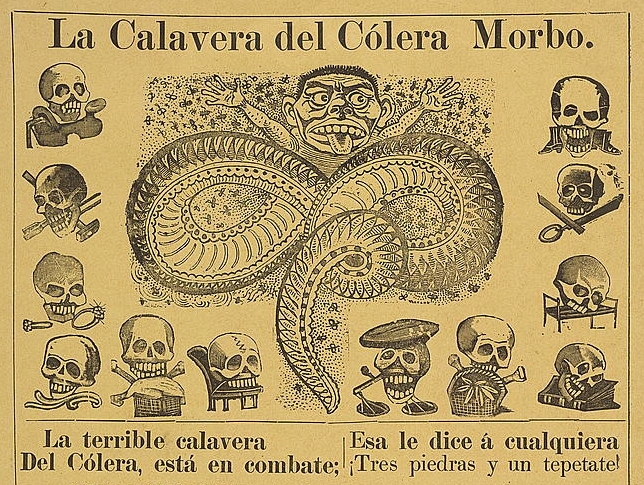 Deriving from the Spanish word for ‘skulls’, these calaveras were illustrations featuring skeletons which would, after Posada’s death, become closely associated with the mexican holiday Día de los Muertos, the Day of the Dead. 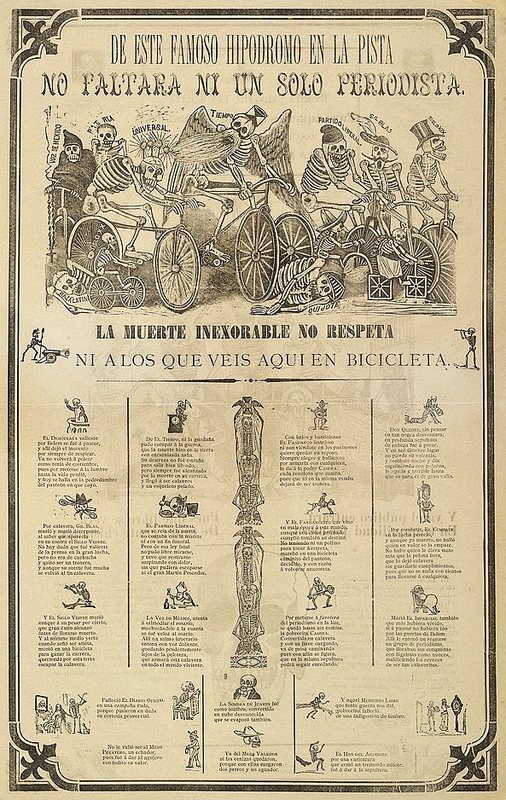 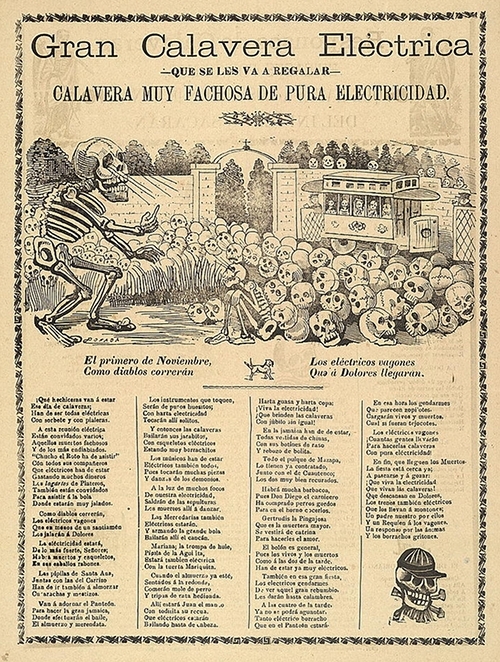 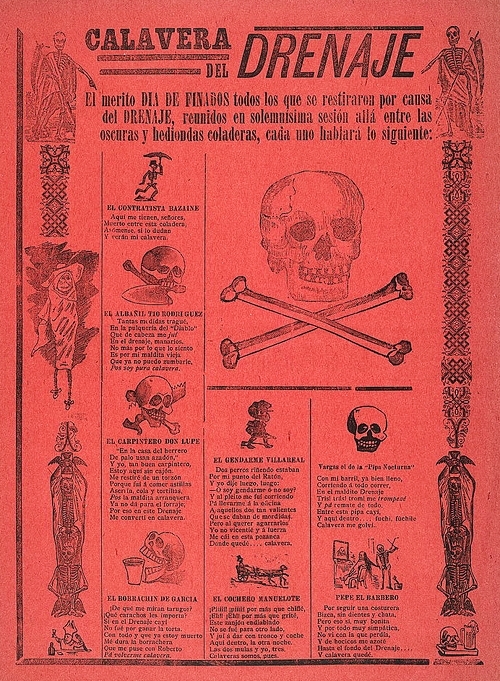 Most of these calaveras were published by the press of Antonio Vanegas Arroyo which produced inexpensive literature for the lower classes, including thousands of satirical broadsides which Posada illustrated. 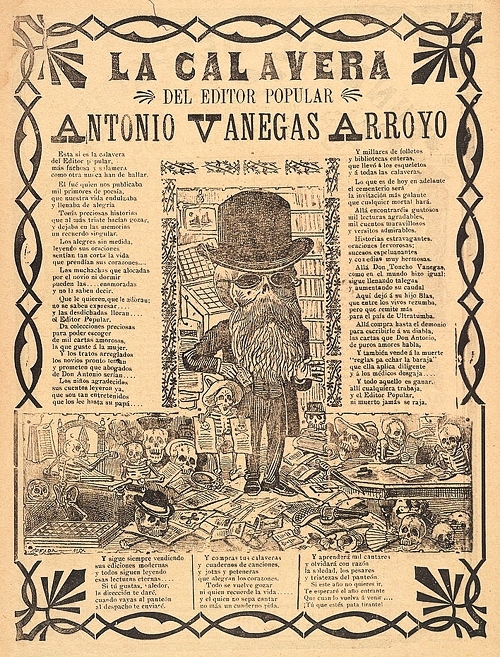 Through this focus on mortality Vanegas Arroyo and Posada satirised many poignant issues of the day, in particular the details of bourgeois life and the dictatorship of Porfirio Díaz. 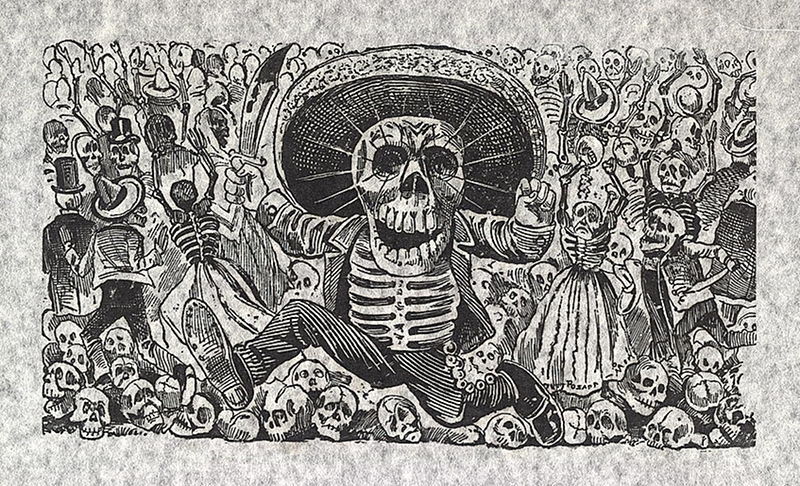 On January 20th 1913, 3 years after the start of the Mexican Revolution, José Guadalupe Posada died at his home in obscurity. 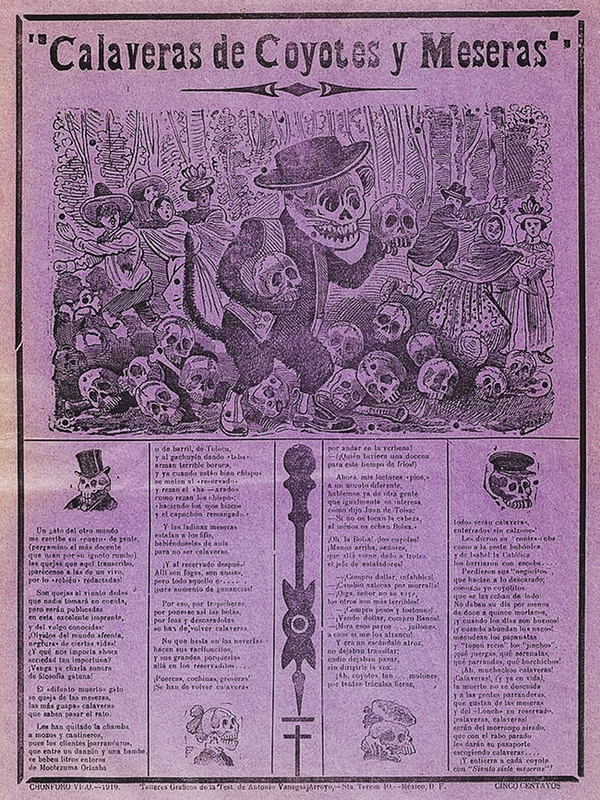 He was penniless and buried in an unmarked grave. 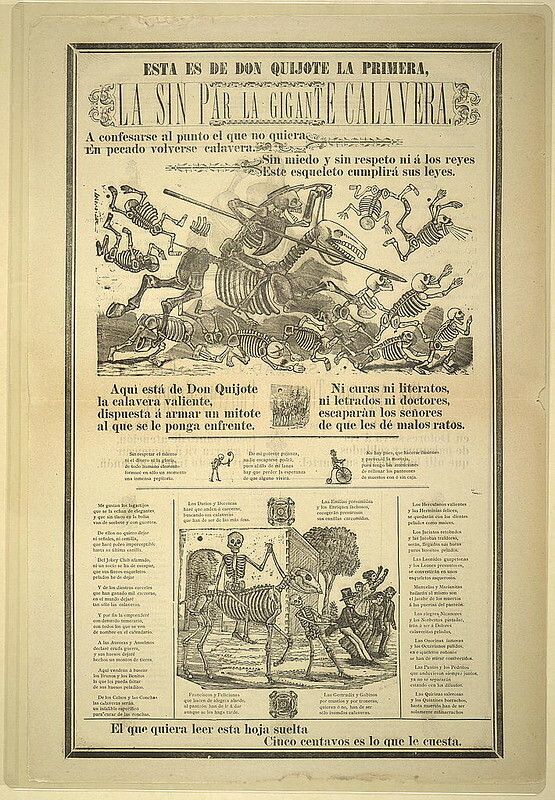 It was only years later in the 1920s that his work became recognised on a national and international level after it was championed by the French ex-patriot artist Jean Charlot who described Posada as “printmaker to the Mexican people”. 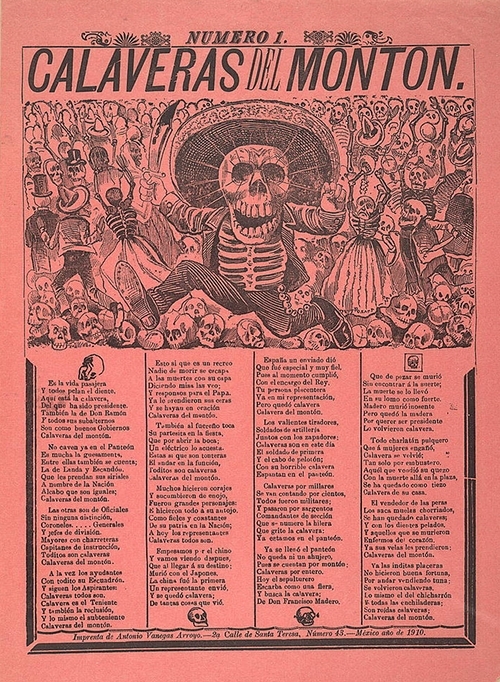 We also recommend checking out the wonderful Posada: A Century of Skeletons (2014). 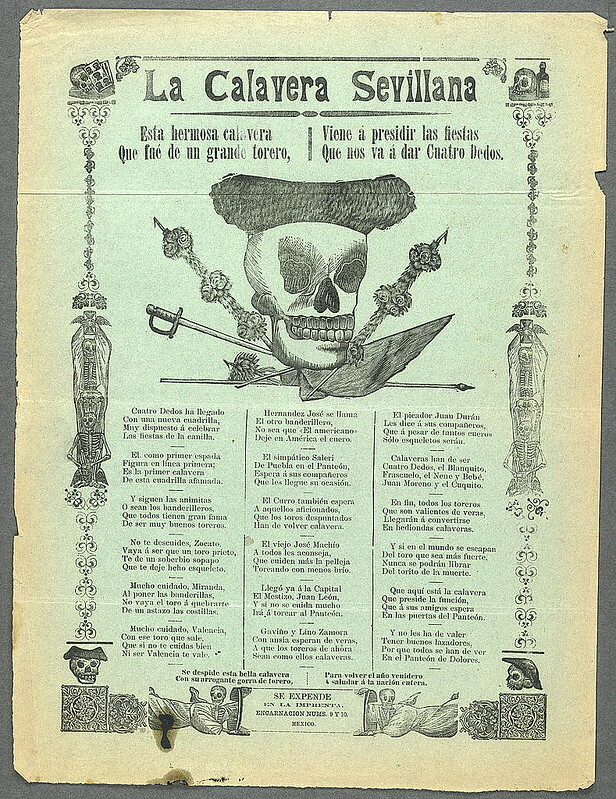 Would you like one on your wall? 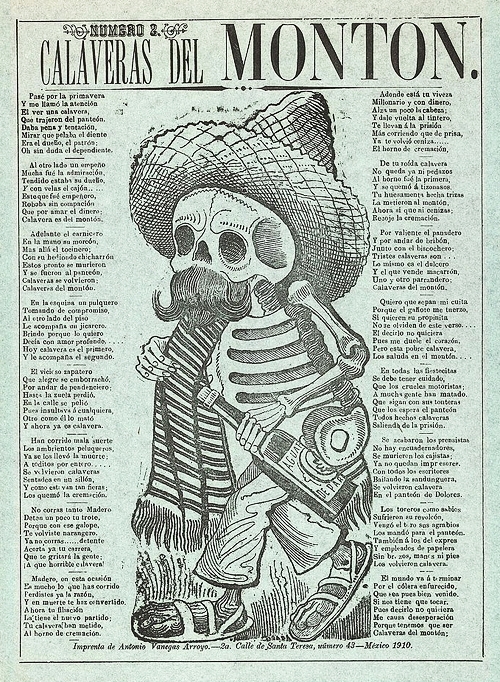 We are selling Fine Art Prints of a selection of Posada’s works in our brand new prints shop! 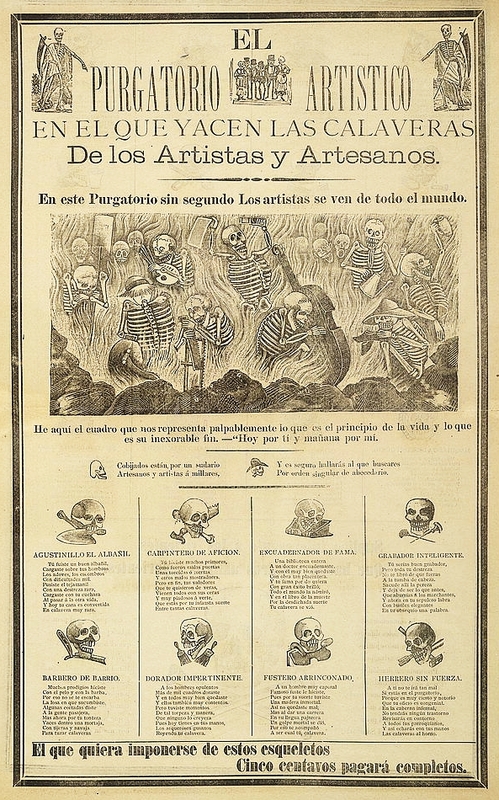 See them here.